Where do you want to start your next Adventure? 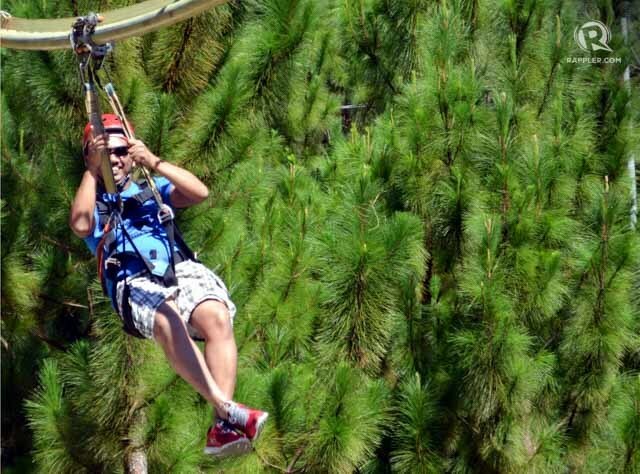 Zipline fun, the Flying Lizard, Drop Zone Sky Wing, Skytower Base Jump Ride, and more! 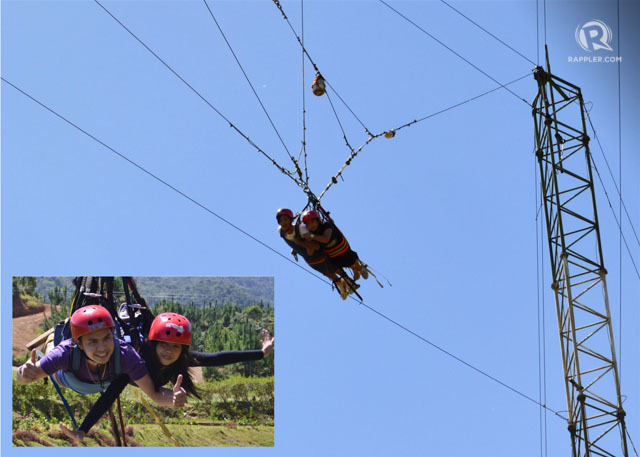 CHECK OUT OUR ADVENTURE TOUR FROM Cagayan de Oro & Mindanao Tours - IN OUR VARIABLE TOUR IS AND CAN BE THE ADVENTURES OF THE Dahilayan Adventure Park be included at our TOUR OFFER HERE! MANILA, Philippines – What do screen heartthrob Aga Muhlach, former beauty queen Miriam Quiambao, television personality Donita Rose, and film actress Agot Isidro have in common? 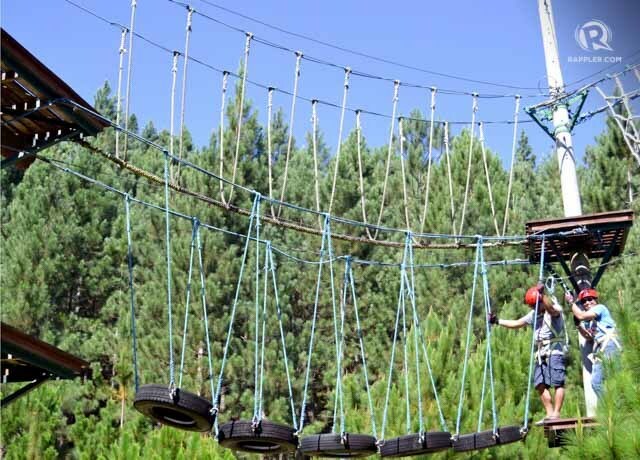 They've all taken the challenge of flying the 840-meter zipline in Dahilayan Adventure Park in Manolo Fortich, Bukidnon. Actors Sam Milby and KC Concepcion also did that for the film Forever and a Day. Marc Nelson and Dyan Castillejo followed suit for a segment in Sports Unlimited. The 840-meter cable zipline is said to be one of the longest in Asia, and Zip Zone has dual cables which can carry two riders simultaneously. The total length of cables is 2,460 meters. “I never thought flying would really be this fun. 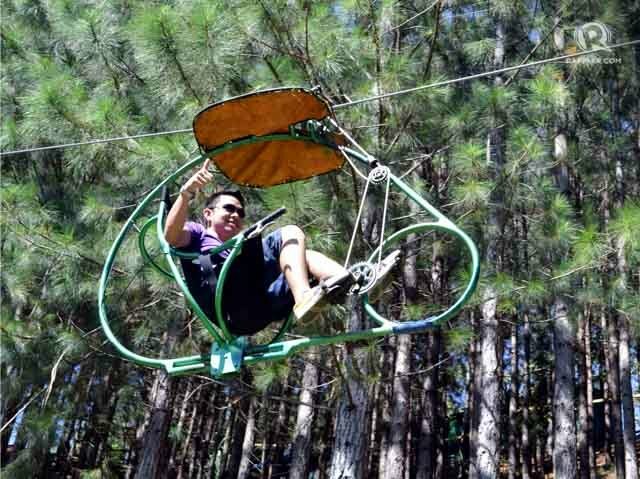 I felt like I was Superman flying on top of the trees,” commented Armando A. Mortejo, a professor at the Holy Cross of Davao City who traveled all the way from Davao just to experience the extreme adventure. 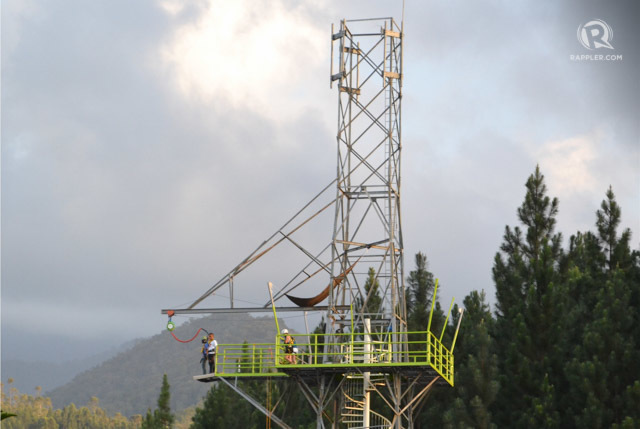 The launch point is 4,500 feet above sea level. The elevation drop is 100 meters with estimated speeds ranging from 60 to 80 kilometers per hour. The riders zoom through lush greenery of pine trees and bushes and stop at the Carrier-type flight deck that uses a special arresting gear system. The zipline should be safe for most people. For safety reasons, only those between 4’4” and 6’3” are permitted to ride. Those with heart problems and weighing more than 100 kilograms are also not allowed. There is no age limit; the youngest to ride is two years old while the oldest is 77 years old. “We are very much concerned with the safety of our customers,” says Ravi Michael P. Victorio, a civil engineer who is the flights operations manager of all the rides at the park, which is at the foothills of Mount Kitanglad. 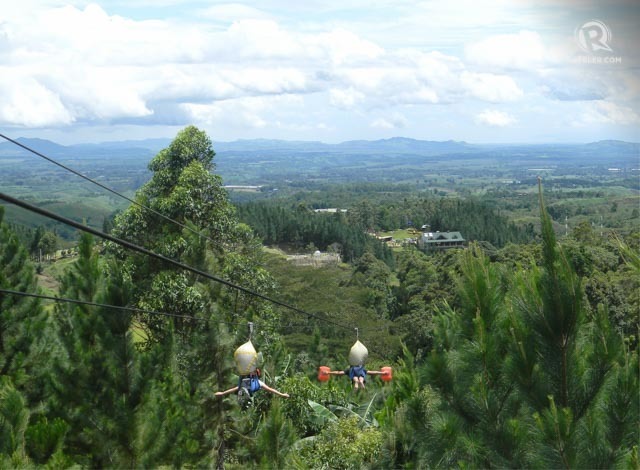 Actually, there are two other dual ziplines – one at 320 meters, the other at 150 meters. These two shorter ziplines are meant to get customers in action and help them lose their fear of this adventure. Once ready, a vehicle takes all those who want to take the challenge to the launch point. The ziplines were launched in 2009. Since then, a new adventure is being introduced every year. In 2010, the Ropes Course was introduced. It’s a 12-stage high and low wire obstacle course complete with a multisided rockwall. In 2011, Drop Zone Sky Wing came into existence. Here, riders are pulled by a windmill-powered winch up to 120 feet. Once at the top, one of the team pulls the release line located at the back. In a split second, the two drop from the top and then swing like a pendulum. “This is the country’s first extreme pendulum swing of its kind,” Victorio says. In 2012, the Flying Lizard was added. This canopy glider moves through the trees, crawls along vines, and zips between tree trunks while the rider pedals along the high wire. “It’s good exercise,” says Mortejo, who pedaled his way around to complete the 400-meter adventure. In 2013, another great ride – called Python Roller Zipride – joined the growing list. Here, a rider zips, rattles, rolls, drops, swings, and bounces over 500 meters. “This is Asia’s first zipline roller coaster,” Victorio says. Last March of this year, the death-defying Skytower Base Jump Ride was launched. “This is faster, better and safer than bungee,” Victorio says of the 80-feet tall fall. Base jumpers climb and walk the see through plank before leaping out. The free fall is only about 30 feet and then after that, the rider goes slowly until he reaches below. The park is open every day from Monday to Sunday and on holidays from 8 in the morning until 4 in the afternoon. There is no entrance fee and it’s on a “first-come, first serve” basis – you pay per ride. Visit the website for more information. 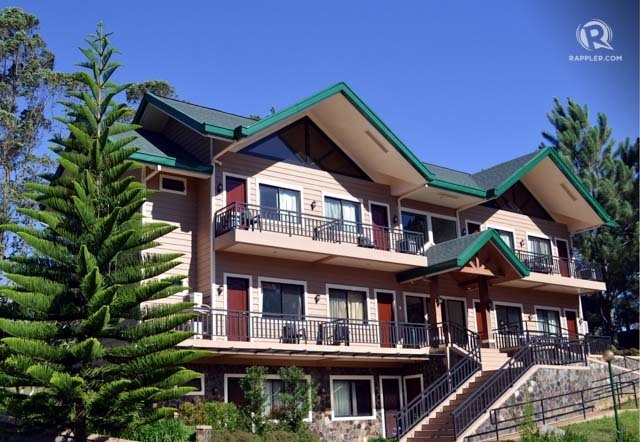 Those who want to spend a night at the park may check in at the Pinegrove Mountain Lodge, a nine-room ski chalet inspired Manor which has a 180 degree view of the Mt. Kitanglad Range Natural Park. The rooms are air-conditioned, but the breeze is also often cool enough for you to do without switching on the AC. In going to the park, visitors who have no private vehicles can hire a jeepney or van from Cagayan de Oro, or they may hop on the air-conditioned Zip Zone shuttle, straight from the city every Fridays, Saturdays and Sundays! The fare is US$6 per person one way. 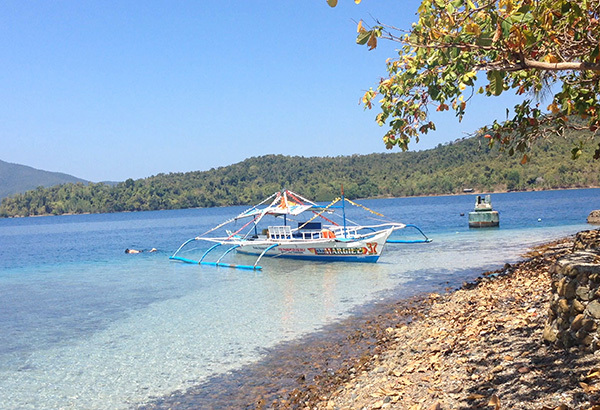 Isla Rita in Ulugan Bay is a snorkler’s paradise. MANILA, Philippines - There’s a spot of green paradise amidst the crystal clear blue waters of the West Philippine Sea, tucked between the heights of mountain ranges. The green hotel Sheridan Beach Resort and Spa in Puerto Princesa, Palawan is the perfect jump off for a long list of sea and land adventures that await exploration this summer. First on the list is touring the jade-green water and stretch of stunning stalactite and stalagmite formations inside the Puerto Princesa Underground River, chosen as one of the New 7 Wonders of Nature. The 8.2-kilometer natural cave is a 20-minute boat ride from the resort and about one and a half hours from the town proper of Puerto Princesa to Sabang Port. Dive into the pristine waters of the snake-like privately-owned atoll of Isla Rita that lies inside Ulugan Bay on the northwestern coast of Puerto Princesa. The laid-back island, which is a 45-minute van and boat ride from the resort, is ideal for snorkeling, with its wide selection of magnificent, colorful coral reefs and the busy communities of marine creatures that live within this ecosystem. General manager of Sheridan resort Mike Villegas says they plan to develop the islands around Sabang as a diving spot for underwater enthusiasts. Another adventure awaits when you brave the 800-meter long and 150 feet above sea level zipline across the waters of Sabang beach. 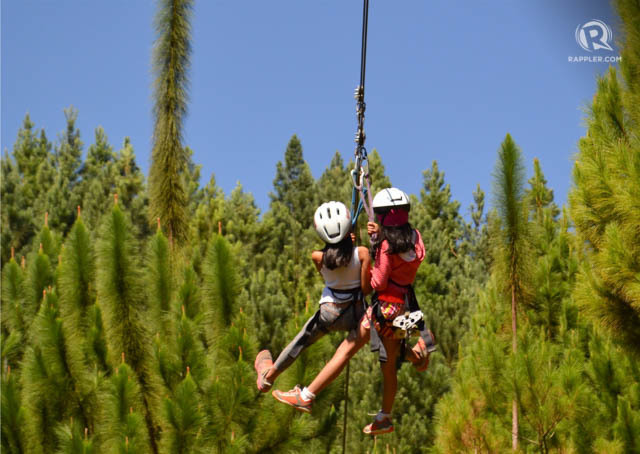 It’s exhilarating not only because of the sheer thrill of zipping high above solid ground, but also because of the magnificent panoramic views laid out for you. You need to trek the mountain trail for about 10 to 20 minutes to the get to the starting point of the zipline, but believe you me, it’s worth the effort! From the resort, one can take the 8x8 amphibious ATV transport to the mangrove site and paddle through the mystical century-old ecosystem. The untouched mangroves, with its unique biodiversity, is home to numerous species of birds as well as other migratory species, thus attracting birdwatchers and nature lovers. The wildlife friendly area also has a 100-meter mangrove boardwalk which provides an entry point to capture the beauty of the forest up-close. Black and yellow species of mangrove snakes can be spotted lazing on the branches of the trees, while the exotic woodworms, locally known as tamilok, is a must-try delicacy for the first-time visitors. Travelers can also engage in other water activities such as glamor sailing, kayaking, fishing, aqua aerobics and aqua zumba. Or, if total relaxation is your thing, lounge around the resort and take a dip in their signature 340-foot long infinity pool against the glorious backdrop of towering mountain ranges. Go “green” and wander around Sheridan’s organic farm, located a few kilometers away from the hotel. Villegas says 80 percent of the resort’s food resources are harvested from the organic farm, including black rice, fresh fruits and vegetables. The farm features a 12-hectare tree planting area which is also an ideal camping site. Aside from organic farming, the first-eco resort in the Philippines promotes greater environmental sustainability. The hotel uses wind turbines and solar panels for energy, effective waste and water management systems, water conserving landscaping and efficient lighting as part of their environmental efforts and “Green and Eco-friendly Design” programs. Due to its environmental conservation efforts, the hotel has garnered a Sustainable Energy Finance Award from the International Finance Corporation through the Bank of the Philippine Islands last September. It also took first place in the Beaches Category of the Puerto Princesa city government’s Clean & Green Award through the Oplan Linis Program.